Did you know that the average millionare has over 7 streams of income? Do you want to create automated wealth easily and be generating revenue in as little as 30 days? If you answered yes, then this publication is for you! This guide is loaded with tons of strategies to create multiple streams of automated income. No need to be tied to a specific location and you can do it all from the comfort of your own living room! Here are the topics that are included in the book: Passive Income Overview Investments, Types, and Strategies Service Based Income Selling Books Affiliate Marketing Network Marketing Digital File Selling + MUCH MORE! 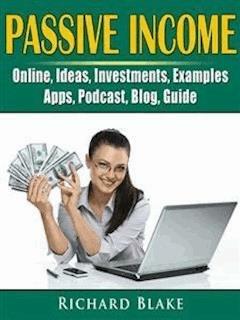 If you want to learn how to create multiple passive income streams then this book is for you! --> Scroll to the top of the page and click add to cart to purchase instantly Disclaimer: This author and or rights owner(s) make no claims, promises, or guarantees about the accuracy, completeness, or adequacy of the contents of this book, and expressly disclaims liability for errors and omissions in the contents within. This product is for reference use only. This book is intended for personal reference material only. This book is not to be re-sold or redistributed to individuals without the consent of the copyright owner. If you did not pay for this book or have obtained it through illicit means then please purchase an authorized copy online. Thank you for respecting the hard work of this author. This book in no way, is affiliated or associated by the Original Copyright Owner, nor has it been certified or reviewed by the party. This is an un-official/non-official book. We want to take a moment to say thank you for purchasing our guide online. HiddenStuff Entertainment remains one of the top app and eBook publishers online. It is our commitment to bring you the most important information to enrich your life. We sincerely hope that you find this guide useful and beneficial in your quest for betterment. We want to provide readers with knowledge and build their skills to perform at the highest levels within their topics of interest. This in turn contributes to a positive and more enjoyable experience. After all, it is our belief that things in life are to be enjoyed as much as they possibly can be.